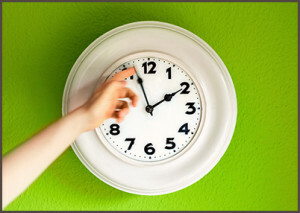 Last fall I wrote in the article “What are the 2 most difficult days out of the entire year for the child of divorce” about internal body clocks and how when we change to or from daylight savings time that it affects the child’s internal body clock. That article is more about when we go off daylight savings time. Today I want to talk about when we switch to daylight savings time. Next week when we go on daylight savings time children will rise an hour earlier. Most of them will rise while it is still dark outside. Some will have to wait on school buses in the dark. Monday all these children are going to arrive at school a little flustered and sleepy. It will take a few days or even weeks for their body clocks to get registered and set up on the new time zone. If this weekend is a switching weekend it will seem unusual and confusing to some children. For many children it takes them a day or so to transition from the other home back into this home. Now they are coming back to this home early in the day. It is still light outside and they don’t want to be cheated out of their time with the other parent. When you throw in rising an hour earlier and it being light outside when it’s time to go to bed, it serves to confuse the child even more. And single parents forget to talk to their child about the time change. Each parent may think the other parent explained the time change when in reality no one has talked to the child. If you have weeknight programs at your church, you will be affected. In programs I’ve worked in at church, the kids feel like they are arriving at church when they should be outside playing. It is still light and the sun is still shining. Many will have only eaten a light meal because their little tummies haven’t adjusted to eating an hour earlier. It might be wise to have extra snacks available as they are going to get hungry when it begins to get dark outside. Some children will be grouchy because they didn’t sleep well the night before. Give them a few days to get adjusted. It might be wise to have less restricted activities where they have to concentrate or sit still this next week. Go with calmer and fun nights for a week or so. Constantly reassure the child what is going on. For some children it will need to be explained several times. You might even want to send out an email to the parents explaining the confusion their children are experiencing. Years ago when I was working for the San Diego School System we had a little Pre-K child show up early. Her mom was a frazzled single mom and usually running late. She was trying to go to school, work and raise two little girls. This mom had set her clock ahead one hour on Saturday night. Forgetting that she had set it ahead the night before she set it ahead again on Sunday night. She said she had brought her daughter to school earlier and no one had been there. It didn’t dawn on her that she was an hour early even though it was pitch black outside. This little four year-old child had gotten up at 4:00 am according to her internal body clock. Poor thing she was sleepy and very grouchy all day long. Take note and prepare to stay calm and collected when the child of divorce arrives. Be gentle but firm when they start to act out or have unruly behavior. Explain why they might be feeling funny or different. It is the not knowing many times that is scary and confusing for children. 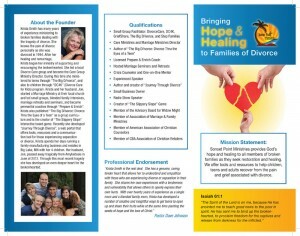 Have you noticed children of divorce getting more out of control right after going on daylight savings time? What are you going to do this year to help them transition to daylight savings time?